A man seeking restitution for the death of his dog has alerted the nation to a lurking danger that’s already harmed hundreds upon hundreds of dogs. 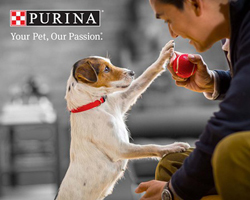 The SF Examiner reports that a federal lawsuit filed by a California resident asserts that Nestle Purina Beneful dog food is to blame for the severe illness that killed his dog. 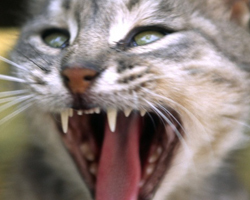 Good news for cats and cat lovers around the globe was reported by The Guardian this week, as British pharmaceutical company Circassia announced plans to release an innovative new treatment for those allergic to cats. The treatment has been in the research and development stage for several years, but Circassia is now in the process of attaining approval from regulators. The treatment takes the form of four injections administered over 12 weeks and is aimed at moderate to severe sufferers. The injections seek to treat the underlying problem causing the allergies, as opposed to antihistamines which merely aim to treat the symptoms. The product should report results of its trials early next year, and if successful, is expected to hit the market by the end of 2017. 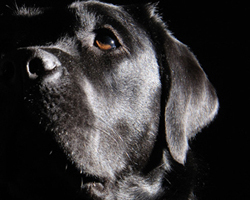 Last year, the Labrador Retriever made history as it secured its status as the most popular dog breed in America. This year, ABC News reports, that the Lab has yet again topped the charts as the most widely owned breed in the United States. The breed has been in the top ten for more than 40 years and has now held the top spot for 24 consecutive years. But while the Lab remains loved, other breeds continue to quietly climb the ranks. Though the American Kennel Club doesn’t release raw numbers, these rankings indicate which breeds continue to see growth among breeders and owners across the nation. Bulldogs have overtaken Beagles as the fourth most popular breed in the US, while the Poodle surpassed the Boxer to take its spot at seventh. Another breed making waves, the French bulldog, has edged its way onto the top ten- surpassing the Rottweiler and the Daschund. 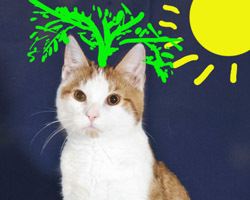 Cat in the Fridge is a delightful blog that explores the life of felines with special needs. With a delightfully humorous tone, the blog catalogs the exploits of Crepes the cat and various special needs cats searching for a forever home. Crepes is missing a foot- but he doesn’t let that stop him from giving back to the feline community. Each week, Crepes features a special needs that are available for adoption, painting a lovely picture of the feline and providing any information useful to those looking to adopt. This week the blog features a handsome cat called Carrot. Though Carrot is incontinent, he’s full of positive energy and love to provide the feline friendship of a lifetime. We encourage you to check out Crepes’ awesome blog for yourself! Did we miss anything this week that you thought was a big deal? Let us know what you think of this weekly recap in the comments section below! And see what you missed in last week's recap here.